If Congress would cut spending by just 10 percent, or a dime for every dollar the government spends, it would slam the brakes on our nation’s dangerously mounting debt and pave the way to a balanced budget. Let’s face it, Washington is in gridlock. Individual cuts in even the most obviously wasteful programs are difficult to achieve because no one can agree on the same set of cuts and everyone has a different list of priorities. What makes this “Congress, Can You Spare a Dime?” National Campaign so powerful is that it is a memorable rallying cry that will force federal agencies to squeeze the waste out of their budgets. Cutting 10 percent is the least that every business and family must do when faced with a financial crisis. What also gives this “Congress, Can You Spare a Dime?” National Campaign such potential to catch fire is that most Americans understand that we can reduce spending by 10 percent without cutting the muscle from the government’s most essential programs. CAGW’s Prime Cuts 2011 database alone lists recommendations that would slash $1.8 trillion in government waste over the next five years. That amount equals 9 percent of the $20.1 trillion that the federal government will spend during that period of time. A March 2011 Government Accountability Office report identified more than $200 billion in duplicative federal programs that can be consolidated or eliminated. The most outrageous finding is that the federal government has 56 programs in 20 different agencies to promote financial literacy at the same time that our nation is on the verge of bankruptcy! The government made more than $125 billion in improper payments last year. CAGW has long played a leading role in calling for an end to improper payments, which include over-payments, duplicate payments, and payments to the deceased, and we helped to enact the Improper Payments Elimination and Recovery Act of 2010, which is intended to cut that $125 billion figure in half over the next five years. Clearly, wasteful spending remains pervasive within the federal government. If American families and businesses across the country can trim the fat from their budgets, so too can Washington. We are not asking for much, just a dime out of every dollar spent. If you are profoundly worried that President Obama and his big-spending congressional allies who refuse to curb their unprecedented $1 trillion-plus annual deficits are destroying America financially, I urge you as strongly as possible to sign onto our “Congress, Can You Spare a Dime?” Citizen’s Demand. Your endorsement of this critical CAGW Citizen’s Demand will say that you not only care deeply about the future of this country, but you demand that Washington make the same financial concessions you and your family have had to make to keep your household budget balanced. This concrete evidence of your support for a 10 percent cut in federal spending will help us draw media attention to this “Congress, Can You Spare a Dime?” National Campaign both here in Washington and across the country. When we tabulate and publicize your Citizen’s Demand, along with countless others from across the nation, Washington officials will know the extent and feel the heat of public outrage at our nation’s dire financial condition. At the end of last month, America's national debt surpassed 100 percent of gross domestic product. Our debt is growing by $2.8 million every minute, or $4 billion every day. Time is truly running out on America’s financial future. Add your voice to that of tens of thousands of other Americans from coast to coast who are demanding a 10 percent cut in federal spending. Please sign the “Congress, Can You Spare a Dime?” Citizen’s Demand today. Tags: Congress, Spare a Dime, Thomas A. Schatz, CAGW To share or post to your site, click on "Post Link". Please mention / link to the ARRA News Service. Thanks! by Phyllis Schlafly, Eagle Forum: A trigger provision buried in U.S. laws since 1990 quietly took effect at the end of October. The U.S. taxpayers' annual donation of 22 percent of UNESCO's budget was summarily terminated when UNESCO voted 107 to 14 (with 52 abstentions) to approve full membership for Palestine. 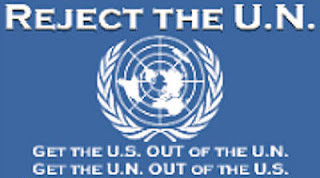 Tags: UNESCO, Goodbye, UN, Phyllis Schlafly, Eagle Forum To share or post to your site, click on "Post Link". Please mention / link to the ARRA News Service. Thanks! 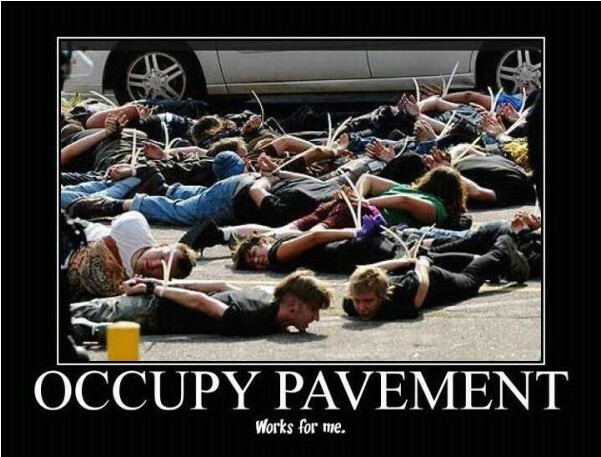 Tags: Occupy, pavement, OWS To share or post to your site, click on "Post Link". Please mention / link to the ARRA News Service. Thanks! by Bill Wilson: On Nov. 14, Defense Secretary Leon Panetta in a letter to Senators John McCain and Lindsay Graham threatened to gut the nation’s defenses under the guise of enforcing the sequestration provisions of the Budget Control Act of 2011. “Absent Congressional approval, current law does not provide flexibility. It dictates sequester cuts must be applied in equal percentages to each ‘program, project, and activity,’” wrote Secretary Panetta, apparently quoting the legislation. “The impacts of these cuts would be devastating for the Department,” he added. It is hard to imagine Congress would have ever enacted the legislation if what he says is true. The Secretary is not even quoting from the legislation itself. There is no portion of the bill where one can find an instance of the words, “program, project, and activity.” In fact, one can neither find the words “project” nor “activity” in the bill. Members of Congress should be curious to see what he was actually quoting, but it does not appear to have been the legislation. That does not mean, for example, that if a project costs $2 million, that under sequester it is now cut by 23 percent to $1.54 million. 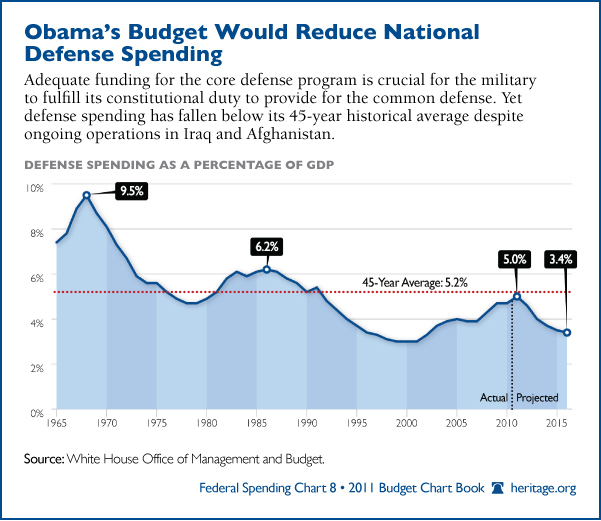 By our reading, it would mean the overall defense budget would be reduced below its previous baseline to meet the new budget caps. That might mean some previously planned programs are delayed or cancelled, but it hardly means that every single item on the budget is supposed to be short-funded. In fact, defense spending under the sequestration will actually rise by 18 percent from 2013 to 2021, as revealed by National Review’s Veronique de Rugy using Congressional Budget Office data. That occurs after a slight reduction from 2012 to 2013 in the teens of billions. Hardly the nightmare scenario that the Secretary outlines. Nonetheless, Panetta is threatening to slash across-the-board every single “program, project, and activity,” when it is actually up to Congress to set up spending levels via the appropriations process within the context of the budget caps starting with Fiscal Year (FY) 2013. But even if Panetta and the Obama White House were to insist on their odd interpretation of the law, it could easily be modified before FY 2013 without removing the budget caps that Congress previously agreed to. There may be a better explanation for Panetta’s bombshell announcement earlier this month. It may have been a threat to scare Republicans on the Supercommittee into supporting a bad deal that included tax increases on producers and job creators during a sharp recession. Panetta and Obama may be using our service men and women as pawns in their relentless drive to piles taxes on the American people. If so, that would mean they were willing to put our fighting men and women in jeopardy just to get more private wealth in the government’s control. And that is simply deplorable. Bill Wilson is the President of Americans for Limited Government. Follow Bill on Twitter at @BillWilsonALG. Tags: DOD, budget, military men and women To share or post to your site, click on "Post Link". Please mention / link to the ARRA News Service. Thanks! Rob Bluey: A new report from a New Orleans-based group reveals that the Obama administration is approving just 35 percent of the oil drilling plans for the Gulf of Mexico so far this year. It is also taking an average of 115 days — nearly four months — to secure approval from the Bureau of Ocean Energy Management, Regulation and Enforcement. Those numbers contrast sharply from previous years. This historical average is a 73.4% approval rate. The approval time has nearly doubled; the historical average is 61 days for the government to approve plans. For plans that require drilling activity, the numbers are even worse. 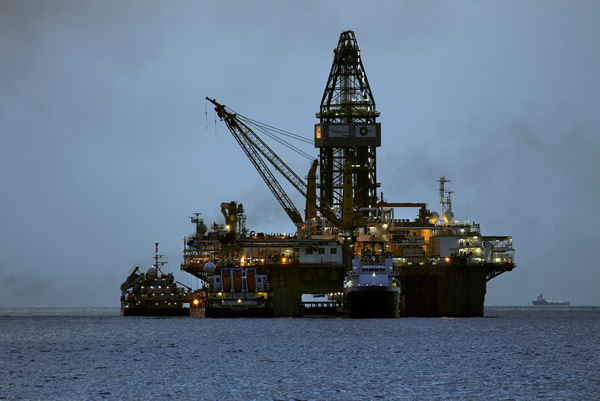 New regulations require all deepwater drilling plans to undergo an environmental assessment process. Those plans have an average approval time of 222 days or more than seven months. The data were included in the latest release of the Gulf Permit Index from Greater New Orleans Inc. It has monitored this trend since last year’s oil spill in the Gulf of Mexico. The delays have continued for more than 18 months later. Deep-water permit issuance continues to lag the monthly average observed in the year prior to the oil spill. Only 5.0 deep-water permits are being issued per month since September 2011, representing a 0.8-permit — or a 14% — monthly reduction from the average of 5.8 permits per month. This number also represents a 2.0-permit — or a 29% — reduction from the historical average of 7.0 permits per month over the past three years. Shallow-water permit issuance is rising above the historical average. Since September 2011, 8.3 shallow-water permits, on average, were issued. That number represents an increase of 1.2 permits — or 31% — from the monthly average of 7.1 permits per month observed in the year prior to the oil spill. However, this number represents a 6.4-permit — or a 44% — reduction from the historical average of 14.7 permits per month over the past three years. The slowdown of activity in the Gulf of Mexico is having an impact beyond Louisiana, where one deepwater rig can create 700 jobs locally. Lack of production harms employment across America It also strips much-needed revenue from the federal government, according to Nick Loris, an energy expert at Heritage. Tags: BOEMRE, Bureau of Ocean Energy Management Regulation and Enforcement, deepwater drilling, drilling permits, energy prices, Gulf of Mexico, New Orleans, oil drilling, oil spill, regulations To share or post to your site, click on "Post Link". Please mention / link to the ARRA News Service. Thanks! 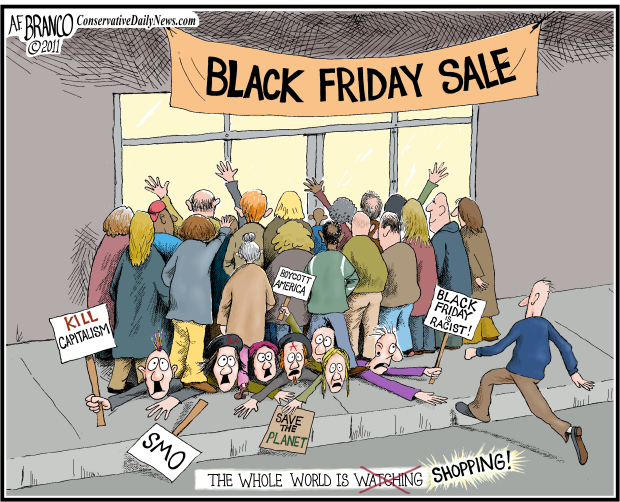 Tags: Free Wall Street, holiday shopping, Occupy Wall Street, OWS, OWS protesters, thanksgiving, Wal-Mart, A.F. Branco. political cartoon To share or post to your site, click on "Post Link". Please mention / link to the ARRA News Service. Thanks! Bill Smith, Editor: Today, Thanksgiving 2011, the President of the United States failed to express his thanks to or even mention God in his "Thanksgiving" message. This fact did not go unnoticed. On November 27, 2008, we noted the historic meaning of Thanksgiving. In all references provided beginning as far back as June 20, 1676, we find God at the center of our Thanksgiving. We noted the Continental Congress 1782 Thanksgiving Proclamation and George Washington's 1789 Thanksgiving Proclamation. An while we could have quoted a long chain of President thankful to God, we noted Abraham Lincoln's 1863 Thanksgiving Proclamation and even the former President George Bush 2008 Thanksgiving proclamation. It now appears that President Barack Obama is showing a patter of "mentioning God potentially every other year." Maybe he gets mentioned only in election years. 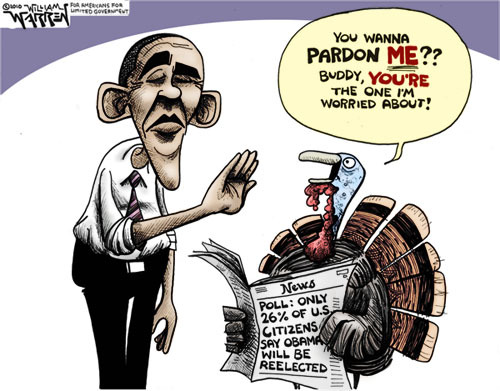 In President Obama's 2009 Thanksgiving Day Proclamation God is omitted. But in Obama's 2010 Thanksgiving Day Proclamation, The President mentions the "gifts of a gracious God." He said, "As Americans gather for the time-honored Thanksgiving Day meal, let us rejoice in the abundance that graces our tables, in the simple gifts that mark our days, in the loved ones who enrich our lives, and in the gifts of a gracious God." We’re grateful that they did. As we gather around the table, we pause to remember the pilgrims, pioneers, and patriots who helped make this country what it is. They faced impossible odds, and yet somehow, they persevered. [No thanks to God or Divine providence] Today, it’s our turn. With all the partisanship and gridlock here in Washington [Much created by Obama and members of his administration] , it’s easy to wonder if such unity is really possible. But think about what’s happening at this very moment: Americans from all walks of life are coming together as one people, grateful for the blessings of family, community, and country. Today, in our home, we sat around the table. We thanked God for our family, children and grandchildren and His watchful oversight of our lives. We asked for His Divine guidance in the coming days before we gather again to be mindful and to again br thankful to Him for showing mercy to our nation. We asked for mercy on our country and forgiveness for the sin of our leaders and our country in departing from acknowledging Him and His will for us to be a Godly nation. In failing to acknowledge God and in taking action to politicize Thanksgiving and to shade it away from what it has been and what it is meant to be, the President words are a rebuff to the sovereign mercy and leadership of God Almighty. However the failure by our "citizen" leader does not have to be our corporate failure. We as Americans and citizens have the opportunity every day to cry our for mercy and to thank God everyday. "For the LORD is good; His lovingkindness is everlasting; And His faithfulness to all generations." Psalms 100-5 NASB. 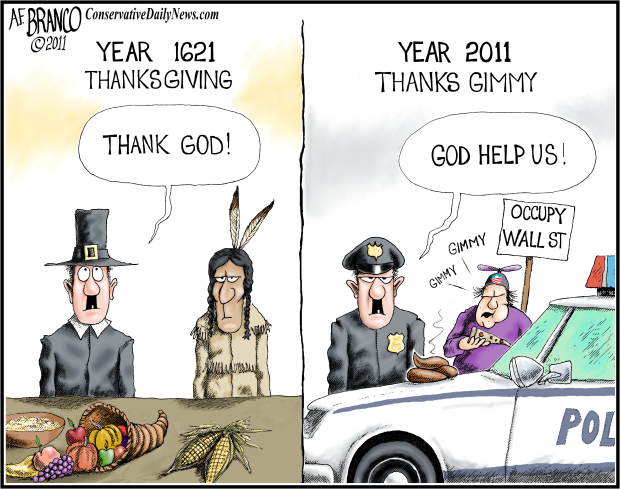 Tags: Thanksgiving 2011, history of Thanksgiving. President Barack Obama, failure to acknowledge God, Psalm 100-5 To share or post to your site, click on "Post Link". Please mention / link to the ARRA News Service. Thanks! by William Warren: Today’s toon focuses on the poll that came out yesterday citing that 26 percent of Americans think Obama will be reelected. I tied this in to a Thanksgiving reference. Tags: 26% of Americans Think Obama Will Be Reelected, Obama, Political Cartoons, Thanksgiving, William Warren To share or post to your site, click on "Post Link". Please mention / link to the ARRA News Service. Thanks! Bill Smith. 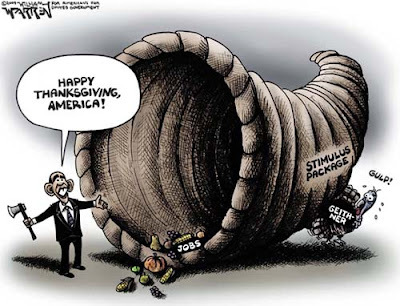 Editor: While I do wish a Happy Thanksgiving to all our readers, I also recognize the truth that on this day, many Americans are worse off than just three years ago. ICYMI the following prior years' political cartoons, today, we have accessed the ARRA News Service archives for the "Horn of Plenty" cartoons by William Warren. They were posted on Thanksgiving 2008 and 2009. However, the cartoons are more relevant today than when they were first posted. History has proven the negative impact of the Obama administration. Thus as we seek to be thankful today, we also note and express our concern over the the disastrous effects that the agendas of the Obama administration has had on Americans. Both our prior National and our personal Horns of Plenty have indeed been abused and for many shattered. Today, Americans live under worse economic and physical conditions than they experienced before the advent of the current White House occupants, staff and czars. "It is time for a change." 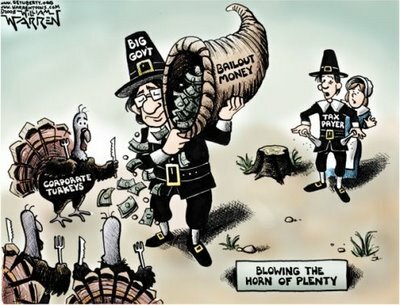 Tags: Horn of Plenty, The Horn of Plenty, Stimulus, America, Barack Obama, no jobs, Bailouts, Big Government, taxpayers, Corporate turkeys, unions, Thanksgiving, Thanksgiving Cartoons, political cartoon, William Warren, ARRA news Service, archives To share or post to your site, click on "Post Link". Please mention / link to the ARRA News Service. Thanks! 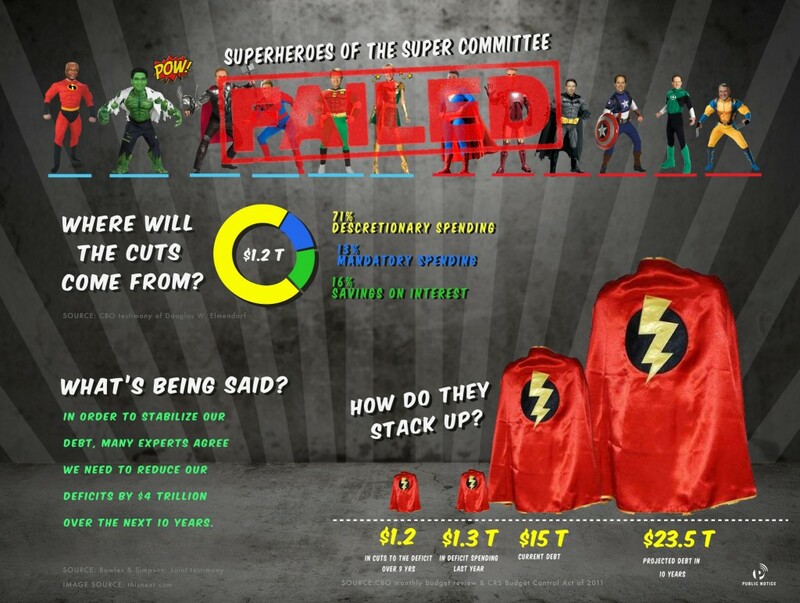 by Bankrupting America Team: In the aftermath of the supercommittee’s failure, we put together two infographics. The first is our initial, knee-jerk reaction. The second, a more thoughtful reflection. Click the images to view full size versions. to federal spending. What are the implications? federal spending remains on its current track4. By now everyone must understand that $4 trillion dollars of deficit reduction is not the maximum we need to reduce the deficit over the next ten years, it is not the ideal amount, it is the minimum amount we need to reduce the deficit to put our fiscal house in order and to stabilize our debt and get it on a downward path as a percent of GDP5. 1. CBO: Testimony of Douglas W. Elmendorf on Discretionary Spending. October 26, 2011. P. 17. 2. CBO: Monthly Budget Review. November 7, 2011. 3, CBO: The Budget and Economic Outlook. August 2011. Summary Table 1 (Added outlays). 4. CRS: The Budget Control Act of 2011: Effects on Spending Levels and the Budget Deficit. September 16, 2011. P. Summary. 5. Bowles and Simpson: Joint Testimony before the Joint Select Committee on Deficit Reduction. November 1, 2011. Tags: deficit reduction, Government Spending, infographic, joint select committee on deficit reduction, national debt, spending cuts, supercommittee, Bankrupting America To share or post to your site, click on "Post Link". Please mention / link to the ARRA News Service. Thanks! ALG’s Robert Romano looks at the stances of Thomas Jefferson, James Madison, Alexander Hamilton and more. There is a lot about Obama that they wouldn’t be too thrilled about. Reporter Frank McCaffrey has the story. Tags: Andrew Jackson, The Federal Reserve, The Central Bank, President Barack Obama, James Madison, George Washington, Thomas Jefferson, Alexander Hamilton, Washington, DC, The White House, National Debt, National Deficit To share or post to your site, click on "Post Link". Please mention / link to the ARRA News Service. Thanks! Obama DayCare -Don't Tell Mom the Babysitter's Fed! Tony Perkins' Washington Update: If you liked ObamaCare, you'll love ObamaDayCare! 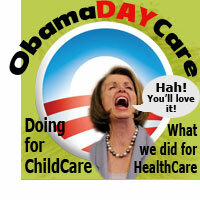 According to former Speaker Nancy Pelosi (D-CA), nationalizing child care is next up on her list of government takeovers. In an interview with the Washington Post, she looks forward to "doing for child care what we did for health care." Raise your hands if the thought terrifies you! As a young mom, Pelosi said, "'I could never get a babysitter--have five kids in six years and no one wants to come to your house... And everywhere I go, women say the same thing' about how hard it is to find the kind of reliable care that would make their family lives calmer and work lives more productive. When it comes to 'unleashing women' in a way that would boost the economy, she says, 'this is the missing link.'" Putting aside the exorbitant costs, let's stop and think for a minute what a Pelosi "nanny state" would look like. If ObamaCare is the prototype, will there be a mandate forcing parents to enroll their kids in government-run centers? Would a panel of bureaucrats dictate what kind of care your children receive? Would the government ration child care by funding more abortions? And I suppose the President will tell us that if we like our babysitter, we can keep her. Let's face it. The closest thing to parenting our government does is being the mother of all problems. Washington can't even do the jobs it has. Why let it barge in and take families'? A child's parent is his best care provider. And that's not only the public's opinion--but researchers'. In the largest study on child care ever conducted, a 2007 team found that "the more time that kids spent in day care, the more likely their sixth grade teachers were to report problem behaviors such as getting in fights, being disobedient in school, and arguing a lot." As a society, the worst thing we could do is incentivize day care. If anything, Congress should embrace policies and reduced levels of government spending and taxation that would encourage and empower more parents to stay at home with their children. Even in stable economic times, those decisions require serious sacrifice on the part of most couples. But what families lack financially, they more than make up in the physical and emotional well-being of their children. In some situations, there simply isn't the flexibility for a parent to stay home--but that doesn't mean our government is the next-best substitute. Grandparents, neighbors, or church groups are far better options than Uncle Sam. Besides, Americans have made it clear that they don't want a bureaucracy raising their kids. Nor do they want higher taxes, which forces moms who would rather be with their children into the workplace. They want tax relief and financial freedom so that they can provide the best care possible for their kids. And for that to happen, Washington will have to deliver on its promises to act responsibly and cut spending. In other words, what we really need isn't universal child care--but someone to babysit Congress! Tags: Obama DayCare, nationalized day care, Nancy Pelosi, nanny state, universal child care, FRC, Family Research Center, Tony Perkins To share or post to your site, click on "Post Link". Please mention / link to the ARRA News Service. Thanks! Tags: Obama incompetence, Occupy Wall Street, OWS protesters, thanksgiving, A.F. Branco, political cartoon To share or post to your site, click on "Post Link". Please mention / link to the ARRA News Service. Thanks! U.S. law prohibits lobbying for or against abortion with foreign aid money. The US is Broke and in Debt and with the approval of President Obama, the Obama Administration funneled $18 million in taxpayer cash to a number of groups involved in influencing the new Kenya Constitution. Under the Fair Use Doctrine and for Educational purposes the entire editorial is presented below. 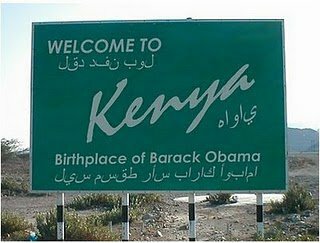 Photo from Kenya - No Comment! The Washington Times - Editorial: The Government Accountability Office (GAO) released a report Monday confirming Obama administration meddling in the drafting of controversial provisions of Kenya’s constitution, which were ratified last year. Officials funneled $18 million in taxpayer cash to a number of groups, at least one of which openly worked to reverse the African country’s ban on killing the unborn. U.S. law prohibits lobbying for or against abortion with foreign aid money. The U.S. Agency for International Development (USAID) skirted the ban by using grant recipients to help re-write the country’s charter. “The groups that were supported are the pro-abortion groups in Kenya - not just some group that may have an interest,” Rep. Christopher H. Smith told The Washington Times. The New Jersey Republican was one of the three members who asked government auditors to perform a full investigation of how taxpayer funds were spent. In 2008, the government of Kenya charged a “committee of experts” with drafting a new constitution that would be presented to voters for approval. This committee’s original draft only stated that “every person has the right to life.” The International Development Law Organization (IDLO), which took $400,000 in administration cash, provided “input” to the committee. The next draft allowed abortion when the “health of the mother is in danger, or if permitted by any other written law.” This language made it to the final, ratified constitution. The loophole essentially gives the government the freedom to grant abortion on demand. “Health can be defined to be virtually anything,” said Mr. Smith. The Siljander Amendment, a provision of federal appropriations law, has outlawed overseas abortion lobbying since 1981. USAID told GAO that its grant recipients weren’t lobbying because the push for abortion was not direct. The constitutional committee also wasn’t a governmental entity, so USAID argued it couldn’t be lobbied. Moreover, the grant recipients and subrecipients were merely “civic education groups” that took money to correct “misunderstandings” about the abortion provision. 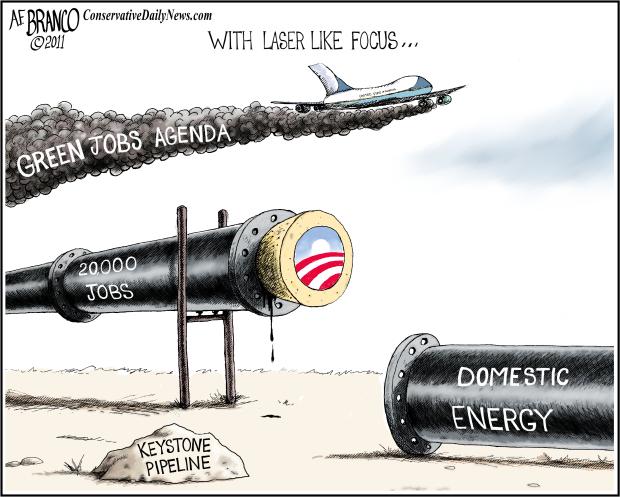 It’s bad enough President Obama is pushing a hard-left agenda on the United States. He shouldn’t use taxpayer dollars to spread his “change” overseas as well. Tags: Obama Administration, Kenya, taxpayer money, Kenya constitution, abortion To share or post to your site, click on "Post Link". Please mention / link to the ARRA News Service. Thanks! Paul Jacob, Common Sense:At some point approaching catastrophe, one has to stop offering googly sounds of uplift and hope, and just speak the truth. Postmaster General Patrick Donahoe may understand that. 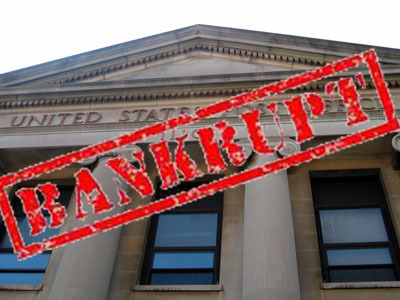 The U.S. Post Office, he recently told the National Press Club, is "in a deep financial crisis because we have a business model that is tied to the past." Deep ties to the past, indeed. Setting up a postal system was written into the Constitution. Early in the system's history, postal positions served as rewards to friends of successful politicians. This put a lot of bad apples into the cider; the business soured. Postage skyrocketed. This sorry situation brought entrepreneurs into the market, delivering letters at a fraction of the government system's prices. The politicians fought back, took the competitors to court, and won -- on dubious Constitutional grounds. But they did overhaul the system, reducing prices. That was a long time ago. Today's situation may be worse. As Donahoe put it, "We are expected to operate like a business but we do not have the flexibility to do so. Our business model is fundamentally inflexible." No surprise, Congress is inflexible. But there are competing bills rumbling around to allegedly fix the financial woes of the institution Donahoe calls "a national treasure." Well, if it's a treasure, sell it off: The federal government could use the money. (Though likely not well.) And the people could use a good privatized mail service. Or two. Or more. This is Common Sense. I'm Paul Jacob. Tags: U.S. Postal Service, Post office, bankruptcy, bailout, Paul Jacob, Common Sense To share or post to your site, click on "Post Link". Please mention / link to the ARRA News Service. Thanks! Last night, a Washington Examiner Editorial summed up the failure of the SuperCommittee and rightly declared: "Only an election can break Washington's gridlock." A quote: "The reality is that Washington spends too much, not that it taxes the people too little. Raising taxes on "the rich" won't fix this problem. Even if the Bush tax cuts are allowed to expire, tax revenues as a percentage of gross domestic product would reach 21 percent by 2021, far above the historical 18 percent average. But spending is predicted to reach 26.4 percent of GDP that same year, according to the Congressional Budget Office. Higher taxes mean only one thing -- more government spending. . . . Despite the Democrats' rhetoric about "everything being on the table," it's clear that, without Republicans caving on tax hikes, nothing remotely resembling spending cuts or entitlement reform was ever really on the Super-Committee table. 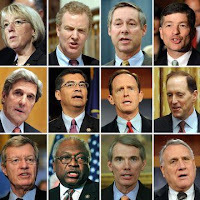 It's time to leave this charade behind, fund the government through next November, and then let the American people decide what kind of country they want in the 2012 election." A National Review Online article today details why the GOP and others "Shouldn’t fear the spending cuts under sequestration. . . . the automatic sequester cuts do very little to the overall trend in the growth of debt. Under current law, according to CBO projections, public debt will reach nearly $14.54 trillion by 2021. Under sequestration, it is projected to reach $14.38 trillion, a rather minute difference of $153 billion. . . . Now, it’s time for Congress to get serious about overspending and get to work (hope springs eternal). This failure gives lawmakers an opportunity to do the right thing and implement the fiscal reforms that could change the path we are on: That’s entitlement and tax reforms. . . . would appreciate if they could get moving on institutional reform too." Yesterday, the joint statement by Co-chairs of the super committee, Democratic Sen. Patty Murray and Republican Rep. Jeb Hensarling was quoted. In conclusion, for the detailed "insider" gory details on "Why the Super Committee Failed" read today's Wall Street Journal Opinion article by Rep. Jeb Hensarling. He concludes: "Ultimately, the committee did not succeed because we could not bridge the gap between two dramatically competing visions of the role government should play in a free society, the proper purpose and design of the social safety net, and the fundamentals of job creation and economic growth. . . . America's fate will not be sealed by the failure of a temporary congressional committee. Spending cuts will begin anyway in 2013, but in a manner many of us, including our secretary of defense, believe could fundamentally harm our national security. I am committed to ensuring that full deficit reduction is realized, but Congress must work to achieve these savings in a more sensible manner that does not make us less safe." 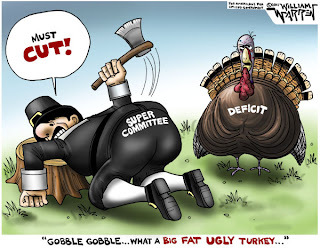 Tags: Supercommittee, budget deficit, ugly turkey, William Warren, political cartoon, Articles, summary comments To share or post to your site, click on "Post Link". Please mention / link to the ARRA News Service. Thanks! Gary Bauer, Contributing Author: Since the protests began, we've been asking, "What is the Occupy Wall Street agenda?" This weekend, the editors of Adbusters magazine, which is credited with starting the movement, published an op-ed in the Washington Post explaining what OWS is all about. So, what is their agenda? Here it is: "This primal cry for democracy sprang from young people who could no longer ignore the angst in their gut -- the premonition that their future does not compute, that their entire lives will be lived in the apocalyptic shadow of climate-change tipping points, species die-offs, a deadening commercialized culture, a political system perverted by money, precarious employment, a struggle to pay off crippling student loans, and no chance of ever owning a home or living in comfort like their parents. "So this is what the left has produced. Environmental alarmism has some folks convinced we're on the verge of mass extinction and that our lifestyle is to blame for global warming. How do they explain the fact that the planet was hotter before we had SUVs? How do they explain the warming that has been detected on Mars? They complain about a political system "perverted by money," but say nothing of union money or George Soros' money. They complain about high unemployment, but do they question the role of big government? No. Sadly, they go on to rail against corporations and job creators. And exactly who forced them to take out those "crippling student loans"? As for owning a home and living in comfort like their parents, they should learn from their parents, most of whom worked very hard and saved up a long time to buy a home they could afford. Some on the right have said, "Don't worry. The occupiers will be gone with the first frost." The editors of Adbusters are promising otherwise. Here's how they put it:"The people's assemblies will continue with or without winter encampments. What will be new is the marked escalation of … rush-hour flash mobs, bank occupations, 'occupy squads' and edgy theatrics. …In this visceral, canny, militantly nonviolent phase of our march to real democracy, we will 'float like a butterfly and sting like a bee.' We will regroup, lick our wounds, brainstorm and network all winter. We will build momentum for a full-spectrum counterattack when the crocuses bloom next spring. "In other words, they are promising to be more disruptive, making life miserable for even more people. They plan to come back in full-force in the middle of one of the most vicious political campaigns in our history. This is a witch's brew. The Obama reelection effort by itself will bring emotions to the boiling point because Axelrod & Co. have already indicated they are going to run a "slash and burn" campaign. America is deeply divided. Our nation is at a tipping point. 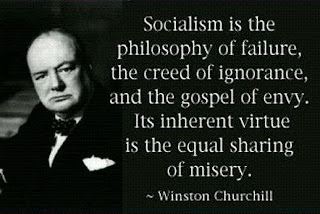 Will we follow Europe down socialism's dead-end road and into bankruptcy? Or will we once again embrace the values that made America the envy of the world? This coming election will likely decide the direction we take. That is why it is so crucial for every conservative to be fully engaged in the weeks and months ahead. Tags: OWS, Occupy Wall Street, Gary Bauer, Campaign for Working Families To share or post to your site, click on "Post Link". Please mention / link to the ARRA News Service. Thanks! Tags: green jobs training, job creation, Obama incompetence, Obama jobs plan, Solyndra, Solyndra scandal, Keystone Pipeline, stopping American jobs, Sending jobs overseas, A.F. Branco, political cartoon To share or post to your site, click on "Post Link". Please mention / link to the ARRA News Service. Thanks! Rob Bluey: The Heritage Foundation and American Enterprise Institute host a Republican presidential debate on CNN this Tuesday at 8 p.m. on the subjects of foreign policy and national security. At a time when domestic issues dominate the headlines, Tuesday’s debate offers an opportunity to refocus our attention on matters of constitutional significance. The Founding Fathers spelled out in the U.S. Constitution that the federal government must provide for the common defense. Yet defense spending has fallen below its 45-year historical average. It is projected to drop to 3.4 percent of gross domestic product in just a few short years. Presidential candidates will have an opportunity to share their thoughts on this trend Tuesday night. It should be a timely topic with the Joint Select Committee on Deficit Reduction expected to announce its plan — or lack thereof — by Wednesday. Democrats have already suggested that it wouldn’t be bad thing if automatic cuts to defense were trigged by the lack of a deal. In anticipation of defense cuts, last week the Foreign Policy Initiative, American Enterprise Institute and Heritage warned that the future of America’s national security hangs in the balance. Heritage has strongly advocated for the Super Committee to fully fund defense or risk a dangerous readiness crisis. Tags: American Enterprise Institute, cnn, constitution, debate, defense cuts, Defense Spending, foreign policy, Founding Fathers, Joint Select Committee on Deficit Reduction, military, National Security, Presidential Debate, super committee, U.S. Constitution, Heritage Foundation, Rob Bluey, Scribe To share or post to your site, click on "Post Link". Please mention / link to the ARRA News Service. Thanks! 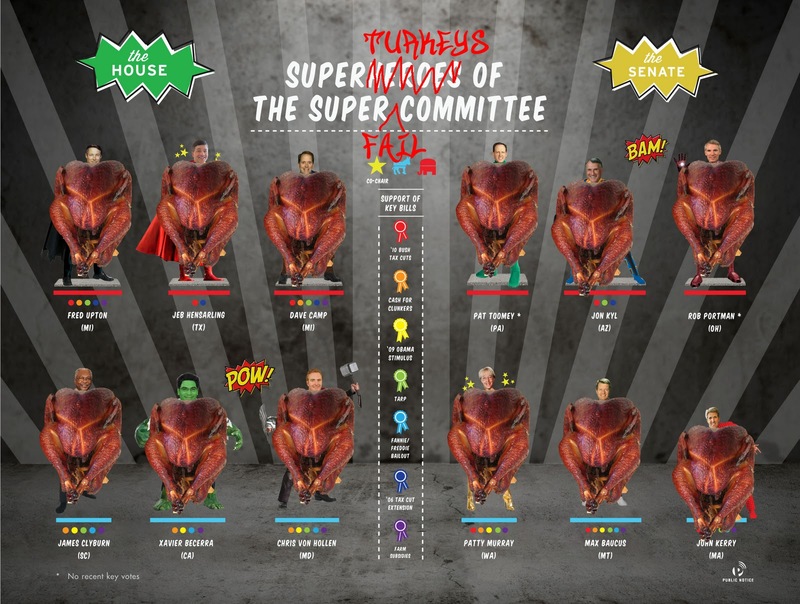 According to law which created this "secretive" 12 person 'Supercommittee" which abrogated the responsibility and authority of the other 423 members of Congress, the committee's failure to reach an agreement on cutting $1.2 trillion means that the government "may" face an across-the-board $1.2 trillion cut with the major portion coming from the DOD in 2013 (deliberately timed for after the 2012 elections). "Given the alternatives, which were phony spending cuts and higher taxes on producers and job creators, sequestration is by far the better deal. There should be no discussion of revenue reform until there are actual spending cuts on the table. All we see now are reductions in the growth of spending. What a farce. "Even under sequestration, the budget will still increase every single year from 2013 through 2021, albeit at a slightly slower rate. That is, if it even goes into effect. The only year that matters is 2012, when no changes in spending are slated. By the time the 2013 fiscal year rolls around, does anyone expect that even the modest reductions in the growth rate of spending under sequestration will ever be implemented? "The only thing that has changed under this fiasco is that the national debt ceiling was increased without any real concessions. That's more borrowing, more spending, and no reform. This is not what the American people voted for in 2010." “With this administration's out-of-control federal spending over the past three years, unemployment stuck at 9 percent, and a $15 trillion debt which grows daily, we felt it was necessary to create this extraordinary mechanism to reduce spending and make needed changes. Republicans viewed this committee as a golden opportunity to change the direction of the nation's fiscal trajectory and create a better environment for job growth. This was reflected in the seriousness of our appointees, and it was reflected in two Republican proposals that were designed to attract Democratic support. “While Democrats insisted on a trillion-dollar tax hike and hundreds of billions of dollars in new stimulus spending, Republicans focused on pro-growth tax reform, protecting Medicare and Medicaid, and reducing Washington spending. 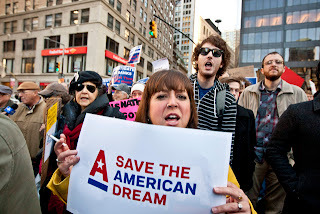 Crucially, Republicans also proposed reducing government benefits to the wealthiest Americans. In our view, the best way to ensure that Washington doesn’t waste more taxpayer money is to give less of it away to those who don't need it--not to take more from taxpayers and hope for the best. If Democrats were more concerned about the deficit than in making government bigger, they would embrace proposals like this, too. “In the end, an agreement proved impossible not because Republicans were unwilling to compromise, but because Democrats would not accept any proposal that did not expand the size and scope of government or punish job creators. This fact was underscored in the final hours of negotiations by their refusal to accept even a basic package of spending cuts and revenue that they had already agreed to during previous debt-limit negotiations—unless they were accompanied by a tax hike on the very people Americans are counting on to create the jobs we desperately need. Not even a proposal to get rid of a tax deduction for corporate jet owners, something Democrats had previously eyed as a major prize, was enough to move them off their puzzling insistence on taxing job creators in the middle of a jobs crisis. “My main criteria for selecting members to this committee was to identify serious, constructive senators who are interested in achieving a result that helps to get our nation’s fiscal house in order. Sens. Kyl, Toomey and Portman lived up to that challenge. I would like to thank them, and the members and staff of the committee who devoted so much time and effort to finding a solution. “All of us had hoped that the supercommittee would succeed in producing the sound, long-term plan this country desperately needs. But in order to properly understand why they did not, we must recognize the strategic decision made by the president, and Senate Majority Leader Reid, at the beginning of the year. The budget process began with the submission of the president’s budget plan. Analysis of that plan quickly revealed that the president’s $1.6 trillion tax increase proved totally inadequate to offset the enormous levels of new spending that would occur. Under this plan, over ten years, we would accumulate another $13 trillion in debt, never produce a single deficit less than $748 billion, produce a deficit in the tenth year of $1.2 trillion, and leave entitlement programs like Medicare in grave financial peril. For this, the president was widely and correctly rebuked. Next, the newly-elected House Republicans—dispatched by voters to restrain Washington’s big spenders—introduced and passed a budget plan as required by law. It was a detailed, honest, and concrete plan to put our nation on a sound footing. The Senate Democrat majority then made a decision: Rather than introduce a plan of their own, they chose to ignore the law and craft no budget at all. Majority Leader Reid even said it would be ‘foolish’ to have a budget. After the president’s disastrous budget rollout, Democrat leaders knew their rhetoric would not hold up on paper—that the public would not accept the level of spending, taxing, and borrowing their fiscal vision requires. It was simply easier to avoid accountability. From that point forward, the president and Senate Democrats did everything possible to avoid having to develop a concrete plan to address this nation’s most dire long-term challenges. The president ignored three consecutive Medicare funding warnings—even though this trigger, by law, requires him to submit a plan to resolve Medicare’s fiscal imbalance within 15 days of submitting his budget. They left the serious policy playing field to fight on the political one, even as America’s balance sheet tipped us closer in the direction of Greece. Should America go down that path, those with the fewest resources, the poorest among us, would be hurt the most; there is nothing compassionate about economic disaster. A series of secret meetings ensued—meetings of the Gang of Six, talks with the vice president at the Blair House, talks with the president at the White House, and, most recently, the supercommittee. These secret meetings disengaged the congressional process and prevented the serious national and legislative debate we need from taking place. It also allowed Democrats—who still had no real budget plan—to continue avoiding accountability for the fiscal and economic consequences of their political agenda. Indeed, in the first two years of the president’s administration, non-defense discretionary spending surged 24 percent—and by the end of the first three years, gross debt will have increased almost $5 trillion. Had the president made clear he wanted an agreement, a deal would have been achieved. It seems clear he wanted a campaign issue instead. Rather than confronting the great threat of our time—our $15 trillion debt—the commander-in-chief fled the battlefield. That’s not clever; it’s irresponsible. Presidential Candidate Ron Paul tersely said previously: "You don’t get out of the problem of having too much debt by allowing Congress to spend a lot more. It never made any sense to me; it just digs the hole much deeper and then it gets harder for us to get out." Today, he responded, “In fact the Committee merely needs to cut about $120 billion annually from the federal budget over the next 10 years to meet its modest goals, but even this paltry amount has produced hand-wringing and hysteria on Capitol Hill. This is only cutting proposed increases. It has nothing to do with actually cutting anything. This shows how unserious politicians are about our very serious debt problems . . ."
Tags: Washington, D.C., SuperCommittee, fails, debt reduction, news, poilitics To share or post to your site, click on "Post Link". Please mention / link to the ARRA News Service. Thanks! Today, President Obama signed the Veterans Jobs Bill. He pandered to the public and made a big deal of the bill which in principle, he had no part in creating. The veterans should thank Congress and not the president. Senate and House are in recess for Thanksgiving Holiday. However the Senate will reconvene for pro-forma sessions on Tuesday and Friday to keep President Obama from sneaking through some recess appointments. The Senate will return for legislative business on Monday, Nov. 28 and The House on Nov. 29. The Senate will then resume consideration of S. 1867, the Fiscal Year 2012 Defense Authorization bill. Also, a vote on the nomination of Christopher Droney to be United States Circuit Judge for the Second Circuit is scheduled for next Monday. On Friday, Senate Republican Leader Mitch McConnell, Republican Whip Jon Kyl, Judiciary Committee Ranking Republican Chuck Grassley, and Committee member Sen. Mike Lee (R-UT) sent what National Review Online’s Ed Whelan described as “a strong letter” to Attorney General Eric Holder urging him to comply with Congressional oversight requests regarding former Solicitor General (now Supreme Court Justice) Elena Kagan’s role in the Obama administration’s defense of its unpopular health care law. Tags: Washington, D.C, US House, US Senate, Thanksgiving, recess, SCOTUS, Elana Kagan, Federal Health Care Law To share or post to your site, click on "Post Link". Please mention / link to the ARRA News Service. Thanks! By Ken Blackwell and Ken Klukowski (Contributing Authors): Governor Rick Perry called President Barack Obama a socialist who also loves his country. Those who support Western European-style socialist policies don’t understand the power of private markets, or government’s inefficiency and incompetence. Answering a question from Bill O’Reilly, Governor Perry created a buzz by responding that President Obama is a socialist, though was quick to add that the president loves his country and simply doesn’t understand how America’s market-based economy works. If the president understood the private sector, Governor Perry explained, he wouldn’t pursue tax and regulatory policies that crush job-creators and prevent wealth creation. There are two types of socialism. One is authoritarian socialism seen in the Eastern Bloc countries (many of which are now free-market economies) and some nations in Central and South America. It’s used by harsh and oppressive authoritarian regimes that repress their people. The other type of socialism is a big-government philosophy that uses wealth redistribution to fund a massive nanny state of cradle-to-grave entitlements. We see this type of socialism in many Western European and Mediterranean countries that are friends and allies of our country, such as Spain, Italy, France, and Greece. Governor Perry was referring to this Western-European socialism. President Obama believes that government has all the answers if led by enlightened leaders (as he fancies himself), and believes he will improve everyone's lot. Perry referenced Obama’s infamous exchange with Joe the Plumber, where Obama infamously said when government spreads the wealth it’s better for everyone. The term “socialism” is misunderstood by many, and the Left spins it as if calling someone a socialist is a personal attack. They do this to avoid serious discussion of socialism’s impact. There are two components to socialism. It’s a philosophy that government owes to everyone in society a certain standard of living. It includes government-provided or subsidized food, housing, education, and healthcare. No honest person can deny that President Obama’s policies fit these criteria. Government-run healthcare (and calling it a fundamental right, despite the fact that it’s nowhere mentioned in the Constitution). Federal control of education. Government picking winners and losers in the economy. History repeatedly shows that free markets work over time, and socialism does not. But we don’t need to plumb the depths of world history. We have our own recent history. Since Obamacare, employers have reported that they will have to drop insurance policies covering tens of millions of Americans, and Medicaid spending will increase by $434 billion by 2020. After (partially) bailing out the housing market, housing remains a depressed and failing sector, and Fannie and Freddie have the gall to ask for $6 billion is additional taxpayer money while paying $13 million in bonuses to their executives. And this administration deludes itself that it knows how to invest in business. So it gives $535 million in loan guarantees to Solyndra as a good investment, only to see the company promptly go bankrupt. Just for good measure the energy secretary illegally restructured this scam to pay off President Obama’s fundraisers and stick you with the bill. Arrogance and incompetence are a toxic combination. This White House and its cronies are overflowing with both. So Governor Perry argues that America needs someone new in the White House. Tags: Barack Obama, Socialism, Nanny-State Socialism, Rick Perry, Ken Blackwell, Ken Klukowski, To share or post to your site, click on "Post Link". Please mention / link to the ARRA News Service. Thanks! by Ralph Benko, Contributing Author: This column debuted a year ago and proceeded to make a troubling announcement: World peace has broken out. The political implications of world peace are dramatic — but difficult to credit. The number of republics has quintupled in just 65 years, the number of authoritarian regimes has dropped from 90, 35 years ago, to 25. In England, murder fell by a factor of 100 from the Middle Ages until today. The trends are much broader than this and although a single nuclear exchange or terrorist incident could skew the numbers, even such a horrific tragedy, Heaven forbid, would not skew the secular trend. Government is obviously composed of common and unsanctified men, and is thus a legitimate object of criticism and even contempt. If your own party is in power, things may be assumed to be moving safely enough; but if the opposition is in, then clearly all safety and honor have fled the State. . . .
Bourne was perfectly prophetic. But the populace now is beginning to recognize that peace — not Total Peace but one where America can be hurt but not destroyed or fundamentally crippled — has broken out. This calls for a major social transformation, a major diminishment of the State and a dramatic reduction in the power, prestige and privileges of our officials. It spells the coming end of the Warfare/Welfare State. American citizens are equivalent to the shareholders of the biggest corporation in the world, the United States Government — a multitrillion dollar conglomerate, and a real dinosaur. No matter how entrenched the management, no matter how crony-cozy the directors, voters, the shareholders – we – hold the ultimate power. We delegated power to the State to wage World Wars 1 and 2, the Cold War, and then to prosecute a “war on terror” which, it appears, we have won. The world remains dangerous and future vigilance required. Defense will manifest in greater covert, and special, operations: a renewed and strengthened CIA and NSA, special forces such as Delta Force, the Rangers, and the Navy SEALs. These asymmetrical defense forces deserve to be greatly expanded. Even when expanded, however, they will prove far less expensive than obsolete conventional assets such as multi-billion dollar aircraft carrier groups. Expenditures on the Total War scale provided ready justification (“guns and butter”) for welfare expenditures which do much to demean the dignity of our citizens. The vast majority of us are perfectly capable of providing for ourselves and our families, once the government stops commandeering all the nation’s resources, and demand to be respected rather than patronized. The U.S.’ military budget is the size of the next 14 nations’ in the world combined. Twelve of these 14 are our allies, and the other two, China and Russia, who might (or actually might not) be cast as adversarial, have vast landmasses to protect and certainly cannot afford to pick an all-out fight with a far better-armed nation. The American way, and existence, no longer is threatened from outside. The defense budget is pumped up by threat of war. The grandiosity of these expenditures casts broad penumbras. The whole government grows. A single presidential motorcade, or a single U.S. senator’s office, comprises more people than the entire staff of the Executive Office under President Franklin D. Roosevelt. Mortal threat is the predicate for a “warfare/welfare” state. That’s over. Tags: end of politics, dawning irrelevance, Barack Obama, Commentary, Ralph Benko, Forbes To share or post to your site, click on "Post Link". Please mention / link to the ARRA News Service. Thanks!